Or, he would have been charitable to the efforts of Sanjeev Kumar, Moushumi Chatterjee, Pankaj Kapur, Irrfan Khan, Ajay Devgn, Kareena Kapoor, Tabu, Shahid Kapoor, Kay Kay Menon and legions of other actors and performers who have sung and danced, loved and lost, plotted and connived, frolicked and died to the cadence of his lines and verses. Shakespeare’s plays — repertoires of every human romp, escapade, and predicament — have not languished in libraries, nor have they been relegated to prescribed syllabi for disinterested high-schoolers or undergraduates. They have lived, in theatre, on celluloid, and on street corners, as universal declarations of the soul and of everything that stirs it. Bollywood has claimed several of the more popular ones, with themes that are familiar and adaptable — star crossed love and political intrigue. That Shakespeare should infiltrate the Kangra valley, where a film festival that celebrates independent cinema took place from 2-5 November this year, is hardly an incongruity. What is startling, though, is the play that writer-director Bornila Chatterjee picked to transmogrify into the gory narrative of The Hungry, screened amid the bustle and cheer of the sixth edition of the Dharamshala International Film Festival (DIFF). Shakespeare’s Titus Andronicus, believed to be his first tragedy, is perhaps his most macabre work; it was probably written between 1588 and 1593 and was thematically similar to the revenge plays that were popular in the late Elizabethan and early Jacobean eras. This is the play that prompted TS Eliot’s famous attack: It was, “one of the stupidest and most uninspired plays ever written. A play in which it is incredible that Shakespeare had any hand at all, a play in which the best passages would be too highly honoured by the signature of Peele.” Indeed, the lurid, sensationalist tenor of the play has been attributed to shared authorship — Shakespeare supposedly collaborated with George Peele to write Titus Andronicus. The Hungry is a faithful recreation of the blood and gore; what makes it an intriguingly ghoulish retelling is a plot that unravels in the farmhouse of a corporate tycoon. Shakespeare’s Titus Andronicus, a Roman noble who has returned to Rome after a 10-year campaign against the Goths, is the doddering but ruthless Tathagat Ahuja (Naseeruddin Shah) in Chatterjee’s reimagined universe. Tamora, Queen of the Goths, is Tulsi – beautiful, bereaved, and seething with thoughts of vengeance (Tisca Chopra). The film, with Chatterjee as auteur, is stamped with Shakespearean motifs – debauched heirs and treacherous lovers, sumptuous banquets and swift murders, dancing and tomfoolery, furtive glances, vital clues left by the dead, noise and a dreadful silence. In this unsettling household of deal makers, party throwers, ripped tongues and decapitated heads served on a platter, only the most vulnerable survive. Each atrocity has a silent witness — Tathagat’s wife, propped on a wheelchair and breathing through an oxygen mask, watches with dead eyes that sometimes fill up as her family is slowly wiped out. Chatterjee, who has a BFA in Film and Television from New York University’s Tisch School of the Arts, admits to a fascination for Shakespeare’s intense and relentless probe into the human heart. “He explores emotions in an almost aggressive manner; someone in love is really, really in love; hatred and betrayal are also examined with an equal intensity,” she declares. Her decision to place her adaptation in the household of a north-Indian industrialist is somewhat influenced by news reports of disputes and murders in business families, particularly the sensational slaying of Gurdeep Singh Chadha (Ponty Chadha) by his brother Hardeep in 2012, who in turn was also killed in the gunfight that ensued at a farmhouse in New Delhi’s Chhatarpur. “We wanted to capture the energy and hostility of the north,” she elaborates. The Hungry, co-written by Chatterjee and Tanaji Dasgupta, is a narrative of simmering hostilities and a quick succession of murders in the garb of suicide. Tathagat and Tulsi, caught in a web of deceit and revenge, are villainous protagonists who manage to rouse a brief rush of empathy – despite his instinctive cruelty, Tathagat’s love for his vegetal wife and feisty daughter Loveleen is sincere and redeeming; Tulsi seeks to avenge the death of her son in a haze of grief. Tisca Chopra, who plays Tulsi, mentions preparing for the role of the wounded, melancholic character in a somewhat unconventional manner. “Bornila gave me a photograph of a big cat — a cougar — with watchful eyes. Looking at it, one got a sense of something going on; a sense of ‘Now I’ll show you!’” she says, over a telephonic conversation. Tulsi, with her genteel manners and menacing eyes, is the wild cat of this adaptation — brooding, stealthy and destructive. Shakespeare’s plays have been appropriated by Bollywood, but one might wonder how Hindi cinema was first enchanted by the Bard. Early films based on the plays were usually adaptations of Parsi Theatre productions, which thrived during the period 1870-1940. Plays like The Merchant of Venice, The Taming of the Shrew and Measure for Measure, performed by Parsi dramatists, were made into films. In 1927, The Excelsior Film Company produced Dil Farosh, a silent film based on The Merchant of Venice, and directed by Udvadia. The Taming of the Shrew, a colossal hit in Parsi Theatre, was made into Hathili Dulhan (The Stubborn Bride) by J.J. Madan in 1933. Hamlet had three screen adaptations: Khoon-e-Nahak (The Unjust Assassination) or Hamlet, directed by Dada Athawale in 1928; Khoon-ka-Khoon (Blood for Blood) or Hamlet, directed by Sohrab Modi in 1935; and Kishore Sahu’s 1954 production of Hamlet. Flamboyant rhetoric seeped into cinematic adaptations of Shakespeare’s plays as well. “Admiration for rhetorical exchanges and sententious passages was as characteristic of the audience for the films as of the audience for the stage plays,” writes Verma. By far the most charming version of The Comedy of Errors is Gulzar’s 1981 pastiche, Angoor. Witty dialogue, impish acting, and the pixie-dust of much flirting make this a peerless version of the play. 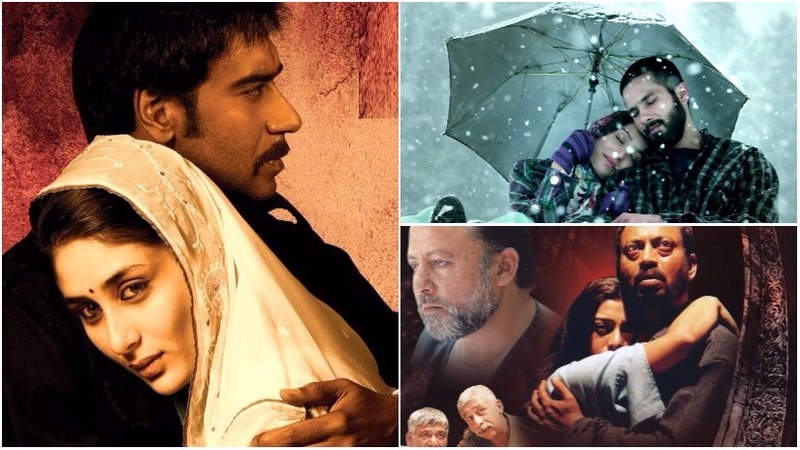 Other significant resonances of Shakespeare in Bollywood are Vishal Bahrdwaj’s adaption of three tragedies: Macbeth was made into Maqbool in 2003, Othello into Omkara in 2006, and Hamlet into Haider in 2014. Each version represents a radical departure from the original text; its contemporary contextualization is perhaps a post-colonial response to Shakespeare. Traditional heroes are replaced by underworld dons, and India’s political churn provides a compelling landscape replete with scandal, raunch, and filth. Shakespeare has endured the breaking down, tearing apart, and remodelling of his plays. In fact, he has probably enjoyed it all — the adulation of crowds far removed from the playgoers who flocked The Globe Theatre, the posthumous glamour bestowed on him by celluloid film, the adaptations in alien lands and tongues. His presence at the recently-concluded DIFF is a magnificent 100-minute confirmation of his hold on the imagination of men.